What is the Wyomissing Foundation? 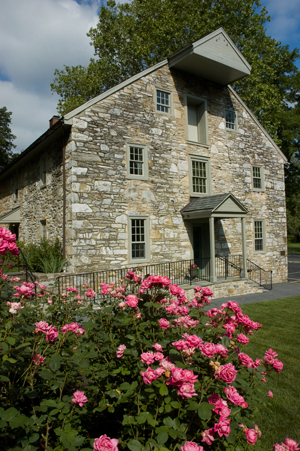 The Wyomissing Foundation was established in 1927 by Ferdinand Thun, Henry Janssen, and Gustav Oberlaender, German industrialists who founded and operated successful businesses in Berks County, Pennsylvania. The Wyomissing Industries, as their business ventures were called, included Textile Machine Works, the Narrow Fabric Company, and the Berkshire Knitting Mills. What types of grants does the Wyomissing Foundation award? The Wyomissing Foundation is a proactive grantor and looks to utilize its assets by addressing critical community issues. The Foundation awards grants in the following categories: Art and Culture, Conservation, Education, Health and Human Services, and Economic Development. We seek to use our resources as a catalyst for change and expect our funds to leverage other support to make a greater impact on the problem being solved by the opportunity created. Are all the grants awarded in the local area? Although a high percentage of grants are awarded in the local community, the Foundation also awards grants to organizations in other communities (primarily through the Thun Family Grants Program) that uniquely address community issues. The Foundation also looks to learn from these grants and apply what they have learned to the local community. What are the guidelines for grant acceptance? The grant guidelines can be found on the Guidelines page. It is suggested that you review the application guidelines and all other pertinent grant information posted on this website. In addition, we recommend that you talk to the Foundation staff before submitting a request. Who makes the decisions on grant acceptance? All grant inquiries and requests are screened and researched for appropriateness. If a request meets the Foundation’s criteria and is in line with the Foundation’s funding priorities, it is presented for review and a decision at a meeting of the Foundation’s Board of Trustees.